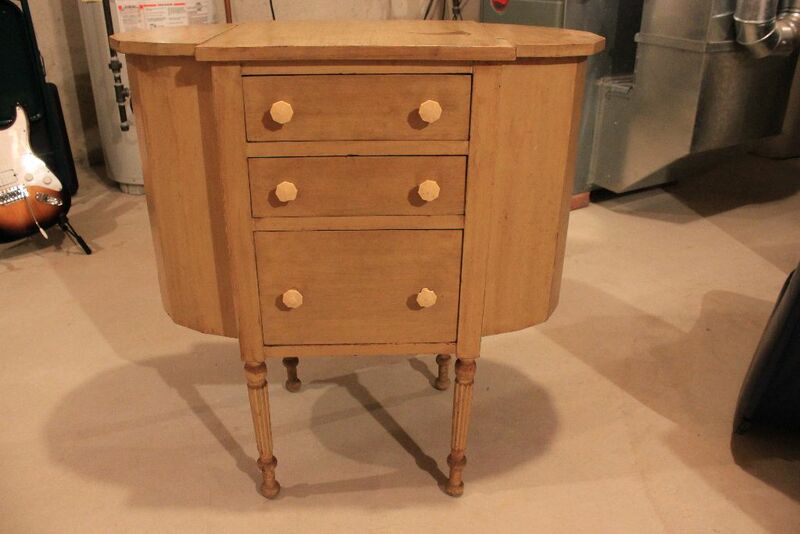 Martha Washington Sewing Table by the Cowan Company is a reproduction cabinet made in the 1920’s. Although this particular sewing table wasn’t around during Martha Washington’s day, the concept for the sewing table did come from Martha’s time period. 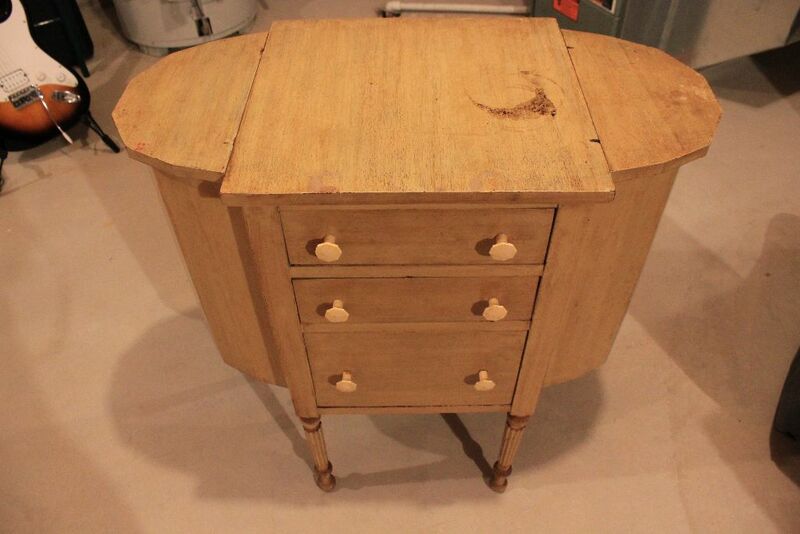 Martha Washington used a small work table with two compartments for material on each end. 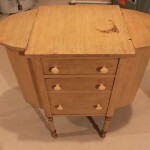 The original work table was made in America from 1790 to the mid 1800’s. 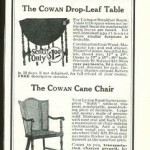 The Martha Washington Sewing Table that is featured in this blog was built in the 1920’s as a “novelty” furniture piece. 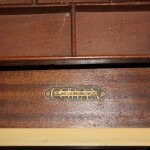 It featured a newly developed “Soss” type invisible hinge and was made of solid mahogany. 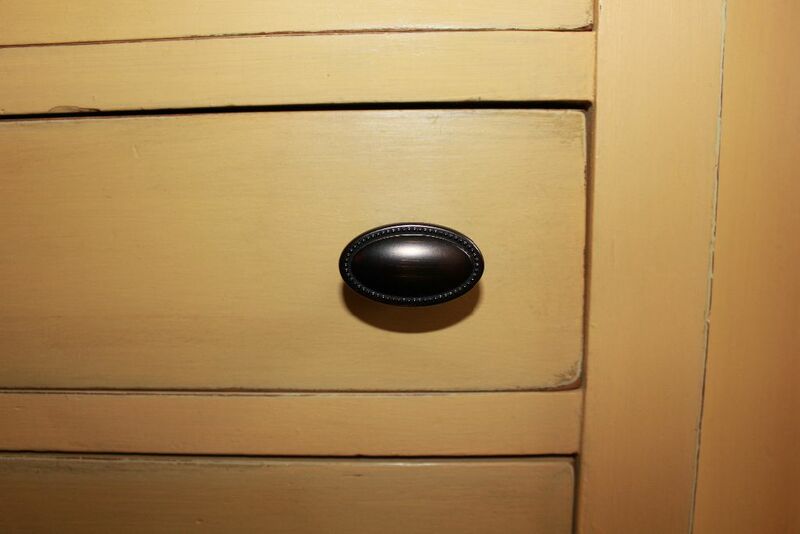 The 1920’s Cowan made cabinet has ½ round compartments on either side of a center 3-drawer cabinet. 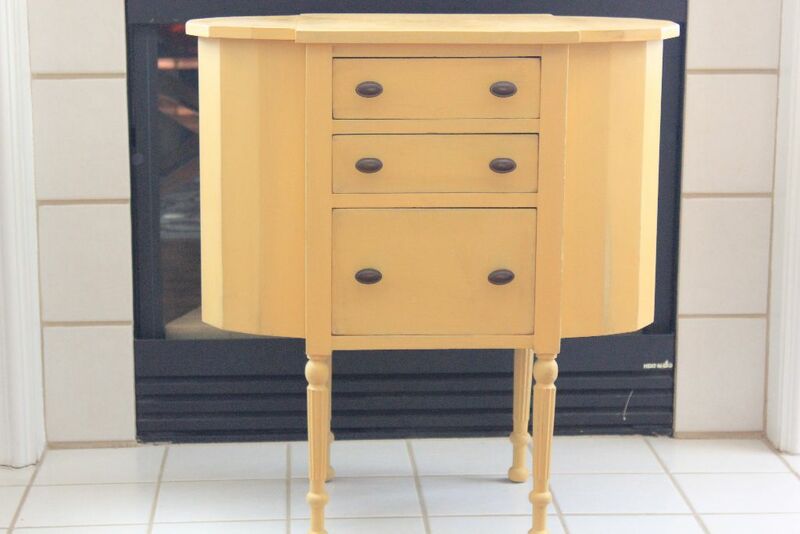 When I found this cabinet at an Auction, the drawer pulls were broken and the painted finish was chipped and had black markings. Although the cabinet structure was in good condition, the exterior needed to be refurbished. 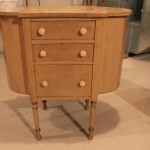 As with other vintage items I find, I try to maintain the original finishes as much as possible. 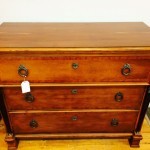 This particular cabinet has an interior compartment in the top drawer and this is in the original condition. 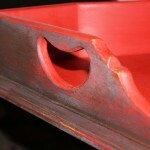 The manufacturer plate is still intact and in good condition. 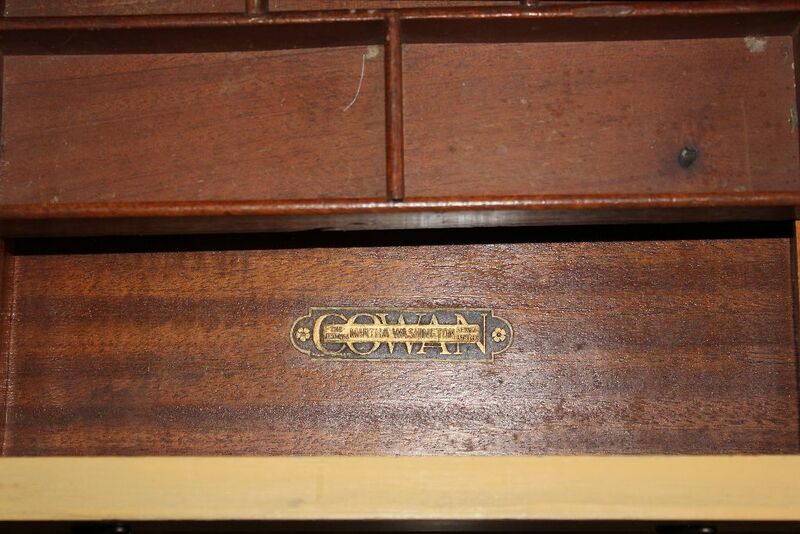 Although the exterior has been refurbished, the ½ round compartments are in their original Mahogany condition. 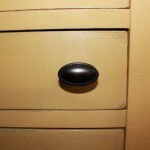 New drawer pulls were replaced with oval shaped knobs, providing a sturdy functionality to the piece. The drawers and ½ round compartments are fully operational and ideal for modern storage of jewelry, stationary products, or as the original intended use of storing fabrics and such. 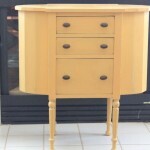 This is a great accent piece to add to any living room or bedroom.